As part of the Dodd-Frank Act of 2010, the United States Congress gave SEC whistleblowers extra protections against retaliation by their employers. Over the next 7 years, federal courts across the country disagreed about whether employees who report their information about securities frauds or violations to their employers, but do not also report it to the SEC, are still covered by those Dodd-Frank whistleblower protections. On February 21, 2018, the United States Supreme Court ruled that employees who do not report their information to the U.S. Securities and Exchange Commission (“SEC”) cannot claim Dodd-Frank whistleblower protections. The Supreme Court gave its decision in a case called Digital Realty Trust v. Somers. So what does the Supreme Court’s Opinion in the Digital Realty case mean for an SEC whistleblower or an SEC whistleblower lawyer? First, it means that in order to claim Dodd-Frank whistleblower protections, and to be able to bring their own lawsuits in court to enforce those protections, whistleblowers must provide their information about securities frauds or violations to the SEC. If someone only provides his or her information to his or her supervisor or employer, that person will not have Dodd-Frank whistleblower protections. If the employer retaliates against the whistleblower, or fires the whistleblower, the whistleblower will not be able to sue his or her employer in court for violating the Dodd-Frank Act. The whistleblower might still have other remedies, such as under the Sarbanes-Oxley Act, but he or she will not be able to sue for the remedies available under the Dodd-Frank Act. Second, the Supreme Court noted that people must provide their information about securities frauds or violations to the SEC in the form and manner that the SEC requires in its SEC whistleblower rules. Third, the Supreme Court’s Opinion did not talk about SEC whistleblower awards. However, even before the Supreme Court’s Opinion, it was well established that to be eligible to receive an SEC whistleblower reward, a person must report his or her information about a securities fraud or violation to the SEC. This must be done in the form and manner that the SEC requires. 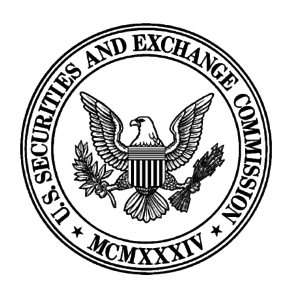 As a result of the Supreme Court’s Opinion, under the SEC whistleblower program, in order to receive either SEC whistleblower awards, or Dodd-Frank whistleblower protections, or both, whistleblowers must provide their information to the SEC, and they must do so in the form and manner that the SEC requires in its SEC whistleblower rules. 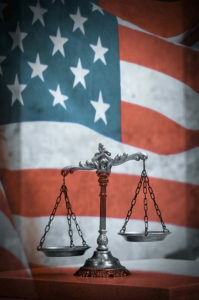 The Supreme Court’s Opinion in Digital Realty only pertains to the ability of private individuals to enforce their own rights under the Dodd-Frank Act, in their own lawsuits, that they file themselves in court. The Supreme Court’s Opinion in Digital Realty does not limit or curtail the SEC’s ability to sanction or fine companies and individuals in its own Enforcement cases for violating the anti-retaliation provisions of the Dodd-Frank Act.